The holidays are coming up fast, and there are many things Amazon sellers need to prepare to make the most of the peak season sales opportunity. In this post, we will discuss 3 fundamental tips you can follow to gear up your preparation – focus on selling the products customers typically buy during holidays, leverage deals and merchandising opportunities on Amazon, and stock up in advance for the key holiday sales dates. Running deals for your eligible ASINs can help spike your sales quickly, especially because customers only have a limited amount of time to buy the products on offer via deals. This is even more important during the Q4 shopping season, where there are plenty of deals by sellers to entice buyers. Lightning Deals are flash sales where an item is featured for several hours on the Amazon Deals page – a popular page on Amazon. 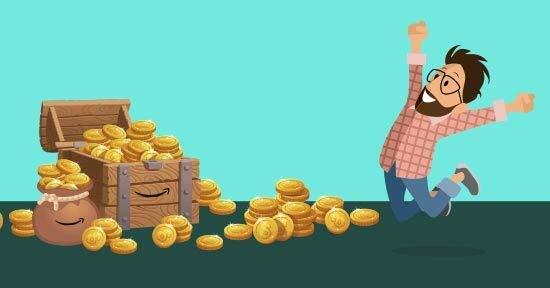 For a small fee, Lightning Deals are a great way to help customers discover your products, and since customers are more likely to purchase products at promotional prices, it is a great way to boost sales. Deadline for submitting Lightning Deal: September 21, 2018. For Amazon FBA, your product has to reach Fulfillment Center by November 5, 2018. Deal price must be 20% off current lowest price in the last 30 days. Deal price will be the product’s historical lowest price within the current calendar year (from January 1, 2018). 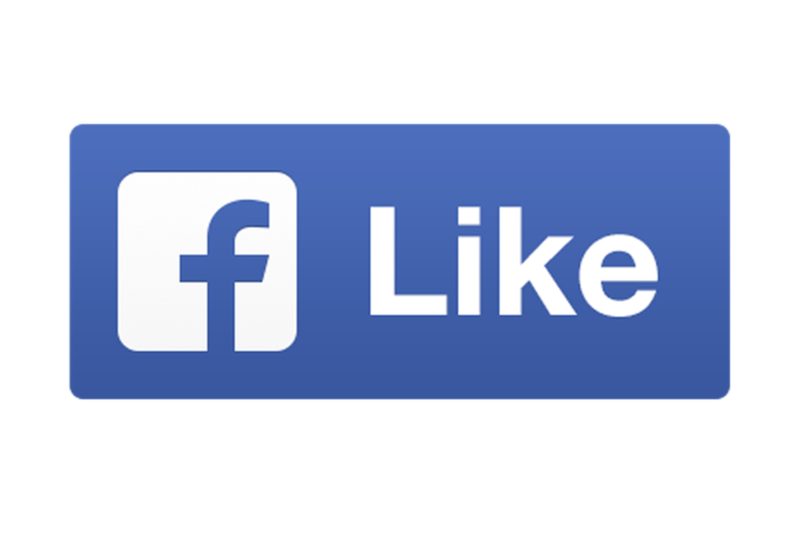 Product reviews require a rating of at least 3 stars or more and have at least 5 customer reviews (or none). For Black Friday, November 23 or Cyber Monday, November 26: $500/deal. Before November 19 or after December 23: $150/deal. 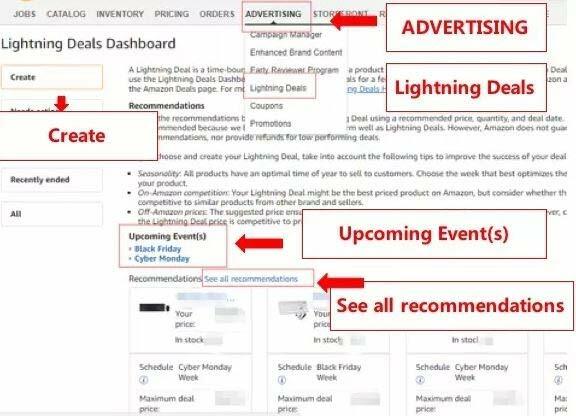 Great, now that we have covered the rules of running a Lightning Deal, it is important to note that sellers who wish to run a Lightning Deal can do so themselves on Amazon Seller Central (Figure 1). If you see that your products are eligible to participate for Black Friday and Cyber Monday Lightning Deal, take the time to consider the right product submission because the deadline for filing a Lightning Deal is on September 21. When approved, sellers can start preparing for shipment to the Amazon FBA warehouse to avoid potential warehousing issues. Click here to learn how to submit Lightning Deals. 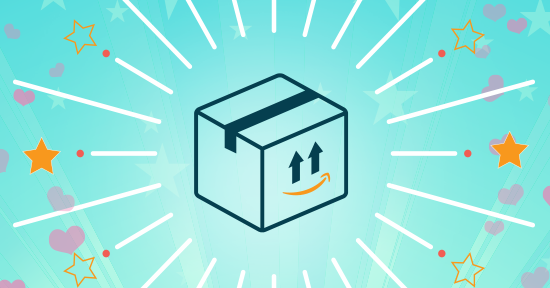 Lastly, send your FBA inventory in advance to the Amazon fulfillment centers to make sure that your inventory is available for customers to buy for the Holiday season to meet the demands of customers. When your merchandise succeeds in attracting buyers to place an order, you are only half successful, and the rest depends on shipping and logistics. To ensure you have enough inventory to meet the peak season demand, you need to make a good estimate of the inventory volume, plan the production and shipment time, and send your inventory well in time to the Amazon fulfillment centers. Send in your inventory before these dates: November 5 for Black Friday & Cyber Monday inventory, and December 5 for Christmas and New Year holiday inventory.